Financial services firms perceive cyber attacks as a growing risk to their organisations. The Bank of England's latest Systemic Risk Survey has revealed that the proportion of firms citing cyber attack as a key risk has increased for the third consecutive time. The survey highlights perceived risks to the UK financial system and 62 per cent of respondents cited cyber risks as a growing threat despite the fact that overall confidence in the country's system has increased. 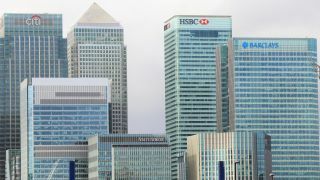 Financial services firms are focusing on finding new ways to mitigate risk while the Bank of England is developing new guidelines to aid firms in demonstrating resilience against cyber threats. Meanwhile, the technology industry is coming up with lots of product recommendations to help firms address cyber risk. However, financial services firms are moving away from a product-centric approach to cyber security and are instead focusing on compartmentalising and individually securing their critical applications. This approach is designed to prevent a domino effect if one area such as online banking or interbank payments comes under attack. Legacy infrastructure though is making it difficult for financial institutions to gauge how applications built into the network are communicating with each other in real-time. This is a crucial first step when it comes to writing security policies for individual applications and firms must be able to determine what effects each policy could have on the way the entire system functions.